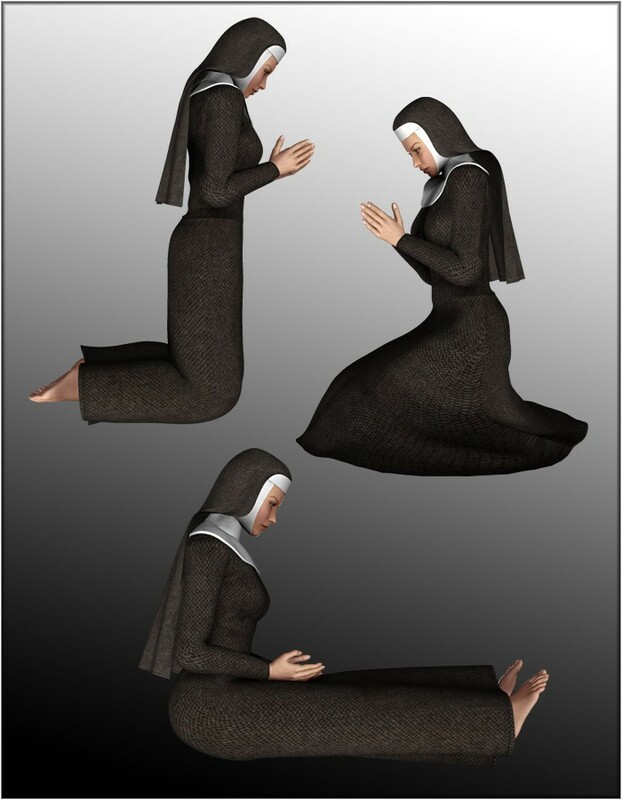 Show your reverence before the Lord with these prayerful poses for Vicky 4. 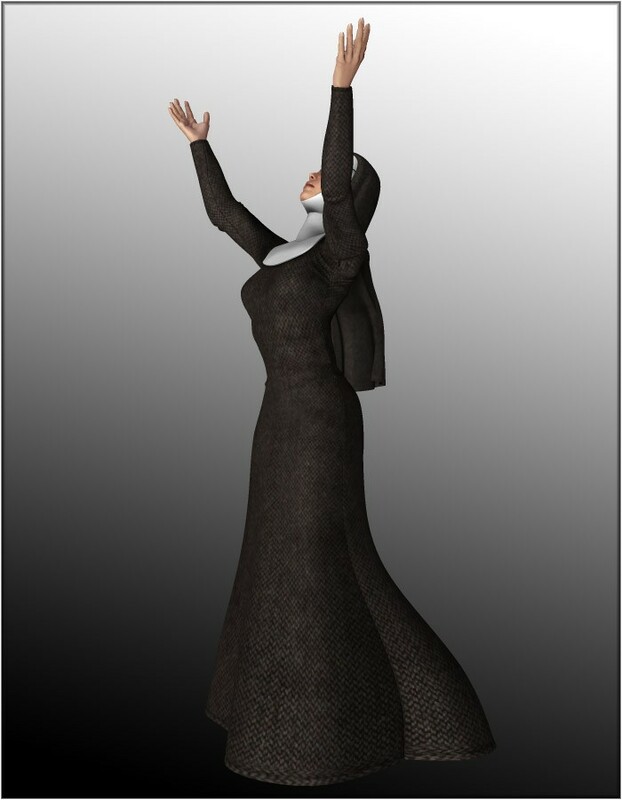 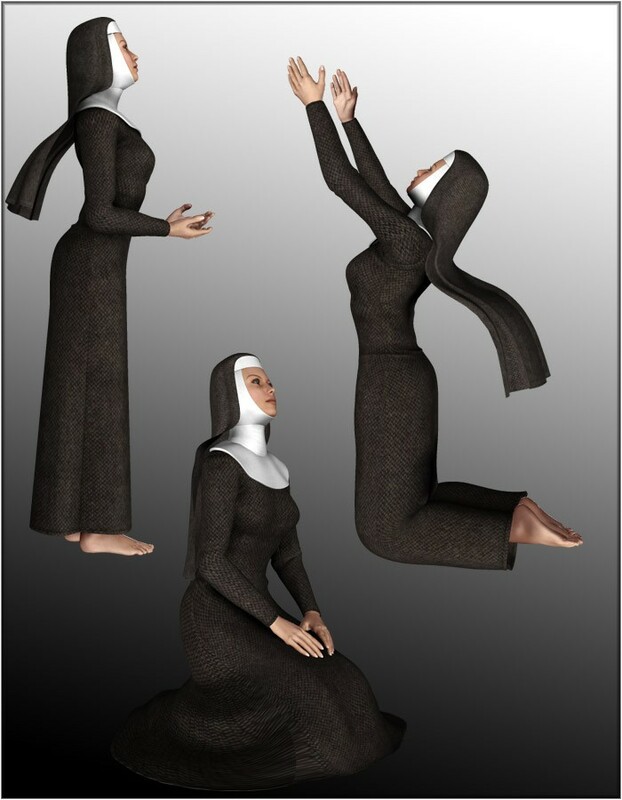 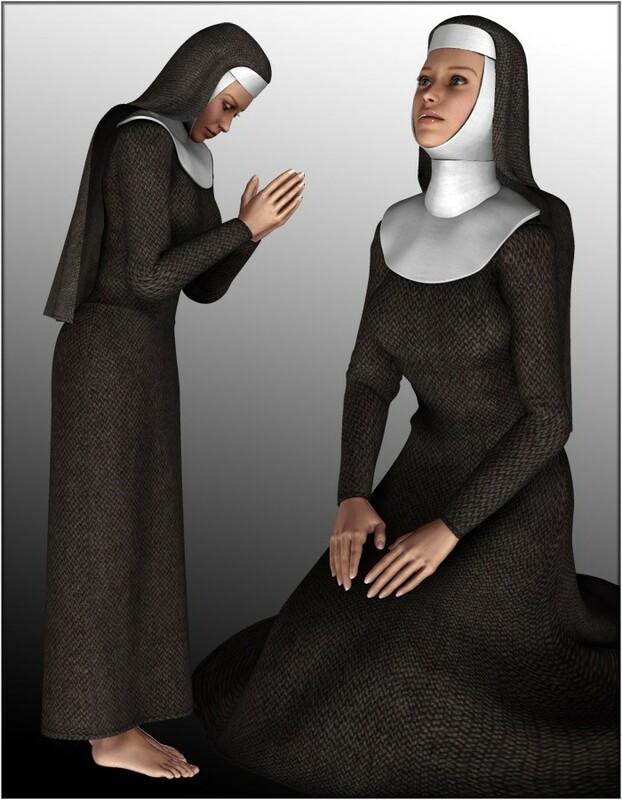 This package contains several standing and sitting poses that work well with the Nun Veil and Peasant Dress for vicky 4. 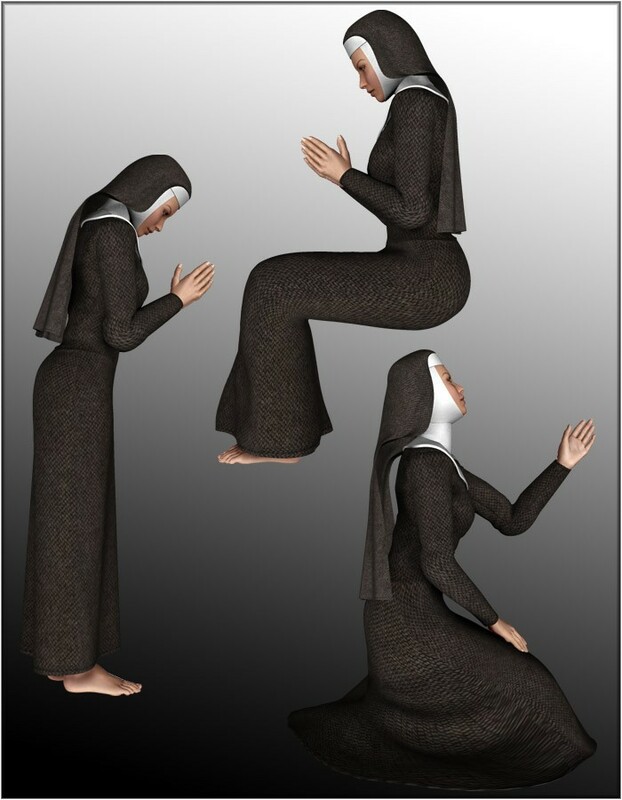 There are 10 full body poses and 4 partial poses.